No one goes through life expecting to be severely injured. So when these traumas happen, the victims and their families are left in complete and utter disarray. The shock of these events is further exacerbated by the fact that the injury was completely avoidable had an individual or business acted in a more appropriate and careful manner. $18.6 million verdict on behalf of an injured motorcycle rider. $14.4 million verdict in a case involving an improperly-serviced asphalt truck, which led to the death of two people. $14 million settlement ($7 million each) for two women sexually abused by their middle school teacher – the largest per person settlement figure in the country. $13 million verdict in a case where a defective forklift left the operator paraplegic. $8.75 million verdict for the wrongful shooting or an unarmed man by LA County Sheriffs. Wrongful death. We help families pick up the pieces when the negligent actions of another lead to an instant fatality or subsequent death from complications. These wrongful death claims are challenging to pursue, but our talented lawyers are committed to advocating for the rights of survivors. Motor vehicle accidents. They happen every day, but that does not negate the severity of these incidents and their effects on injured victims. Whether the vehicle is a motorcycle, car, school bus, tractor-trailer or mass transit vehicle, our lawyers are prepared to fight for the rights of motor vehicle crash victims. Injuries to children. When the most vulnerable members of our society are injured, our lawyers jump into action, making sure that all responsible parties are held accountable. Whether the injury occurs during daily care or as a result of a sexual assault, we provide these families with compassion and an unwavering commitment to justice. Nursing home neglect. When nursing homes fail to properly protect your loved one from harm, our attorneys step in to hold them accountable for their negligence and wrongdoings. We proudly fight for your loved one’s rights and dignity. Police shootings/police misconduct. We trust law enforcement officers to protect us from harm, not harm us without justification. Police misconduct should not be tolerated or swept under the rug. Our attorneys fearlessly hold officers accountable when they act outside of the code of conduct. Premises liability. Owners have a duty to keep their properties in a reasonably safe condition, or at least warn visitors about potentially harmful defects. Yet every day, thousands of individuals are severely injured due to the negligent actions of property owners. Whether you slipped and fell in a store or suffered a severe injury in a pool, our lawyers work to get you the compensation your injuries deserve. Product liability. We have the right to expect that the products we use will work in the way they are intended. A defective product can lead to serious injuries, for which the designer, manufacturer, distributor or seller may be responsible. Whether you were given a dangerous drug, your child was hurt by a defective toy, or you sustained an injury in some other way, we hold the responsible parties accountable. Traumatic brain injury. 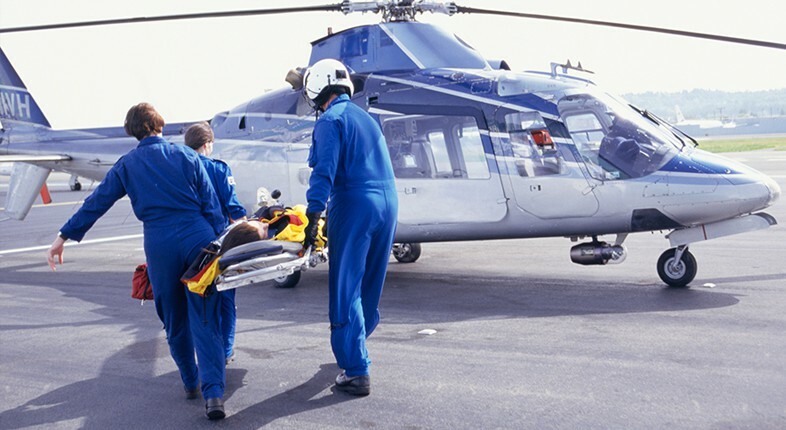 A traumatic brain injury can leave a victim with profound brain damage or concussion syndrome. The personality changes, severe memory loss and diminished cognitive functions associated with this condition require substantial compensation from all responsible parties. Spinal cord injury. The spinal cord is the power system of the entire body. Spinal cord injuries often lead to some level of paralysis. Whether navigating life with partial paralysis or complete paraplegia, these victims need a compensation award that covers all current and future medical expenses. Burn injuries. The excruciating pain of a burn injury can place a victim in a circumstance where extensive medical care is necessary just to manage the daily activities of life. These individuals are often forced to endure multiple surgeries, years of rehab and permanent disfigurement. Electrical shock/electrocutions. The trauma of electrical shock/electrocution is not always apparent from the outside, but these injuries can cause extensive internal damage. From the pain of burns and nerve damage to the challenges of brain injuries and seizures, we fight to secure substantial compensation for these brave individuals. Loss of limb. The amputation of a limb can be truly devastating, especially when it happens as a result of someone else’s negligence. Our skilled attorneys consult with experts to properly identify the financial costs of living with the loss of a limb. We then use this information to aggressively advocate for a high-value compensation award. Scarring and disfigurement. Severe scarring, disfigurement, loss of vision or loss of hearing can create a lifetime of physical and mental pain. You deserve a compensation amount that helps you deal with the long-term challenges of your injury. Birth injury. The joyous occasion of a birth can turn to tragedy when physicians and attending staff members fail to meet their professional duties in the care of mothers and babies. Our lawyer fight for families scarred by such birth injuries as cerebral palsy, Erb’s palsy or infant death. When clients have suffered injuries that dramatically change their lives forever, we work that much harder to win long-term, comprehensive compensation. Many clients cannot return to the same line of work or cannot work again in any capacity. In addition, their home lives are changed forever with significant challenges placed on the family. Our attorneys work with life-care planners, economists, surgeons, psychiatrists, vocational specialists and many other professionals to make a detailed determination what services our clients will need for the years ahead. We carefully establish damage amounts that cover ongoing medical care, nursing care, home improvements, medical equipment, lost earning capacity, job training and other economic impact. We also pursue damages for the client’s pain and suffering, mental anguish and lost enjoyment of life. Our experienced Los Angeles personal injury lawyers do not just want our clients to thrive today. We want them to thrive forever. If you have been in a car accident recently and have been subject to triage or other medical care, you will likely want to retain a lawyer. Although it can be difficult to know when to contact a Los Angeles personal injury attorney, a good rule of thumb is this: The sooner, the better. When doing research about personal injury attorneys, you may come across those who have represented themselves in car accident cases. Although it is possible to file a personal injury claim against an insurance company without legal representation, this practice is not advised. It could be tempting to consider foregoing legal fees, especially if you have suffered only minor injuries. But it is all too easy to become mired in complicated legal jargon, stalled communication, and a lack of understanding about the gravity of your case. If you hire a Los Angeles car crash attorney, you are employing a highly-trained advocate to work on your behalf. A personal injury attorney brings experience with legal proceedings, rules, and methods of big box insurance companies focused on their bottom line. The best personal injury lawyers will know how to counter the chaotic tactics of insurance companies. The statute of limitations for filing a personal injury claim in California is two years – but this does not mean you should dawdle. Time is of the essence. You should consult with a lawyer as soon as you can after sustaining injury in a car, motorcycle, or other accident. In any significant personal injury case, it is imperative to quickly retain a high-quality plaintiff’s attorney. Hiring our experienced lawyers soon after the incident allows us time to properly investigate the accident before evidence is destroyed, witnesses disappear and memories fade. To discuss your personal injury claims with Manhattan Beach serious personal injury lawyers, call Taylor & Ring today at 310-776-6390 or complete our contact form for a free consultation.